China has reportedly put surface-to-air missile systems on one of the disputed South China Sea Islands, as tensions rise in the region over sovereignty claims. Beijing says its defense facilities won’t impede navigation or over-flight freedom in the area. Satellite images taken by ImageSat International, and aired on Fox news, show two HQ-9 air defense system batteries of eight missile launchers, which have a range of about 200km, and a radar system on Woody Island. Dated February 14, one image showed Chinese hardware, whereas an image dated February 3 didn’t show any installations. Ahead of the meeting with Wang Yi, Australia’s Foreign Minister Julie Bishop said she would challenge Beijing’s land reclamation activities in the South China Sea. China, Taiwan, Vietnam, Philippines, Malaysia and Brunei have competing claims to the islands, while the US objects to the “militarizing” of the disputed area. "We discussed the need for tangible steps in the South China Sea to lower tensions, including a halt to further reclamation, new construction and militarization of disputed areas," American President Barack Obama said on Tuesday at the Association of Southeast Asian Nations summit in California. In a show of strength last month, American guided-missile destroyer, the USS Curtis Wilbur, sailed near Triton Island in the Paracel Islands, as part of a “freedom of navigation” drill in the disputed islands chain. While Obama warned on Tuesday the “US will continue to fly, sail and operate wherever international law allows,” the Chinese Foreign Ministry defended its right to protect its territory. When asked about deployment of air defense missile complexes to the Paracel Islands, China's Defense Ministry said on Wednesday that military facilities on “relevant islands and reefs” had been in place for years, Reuters reports. 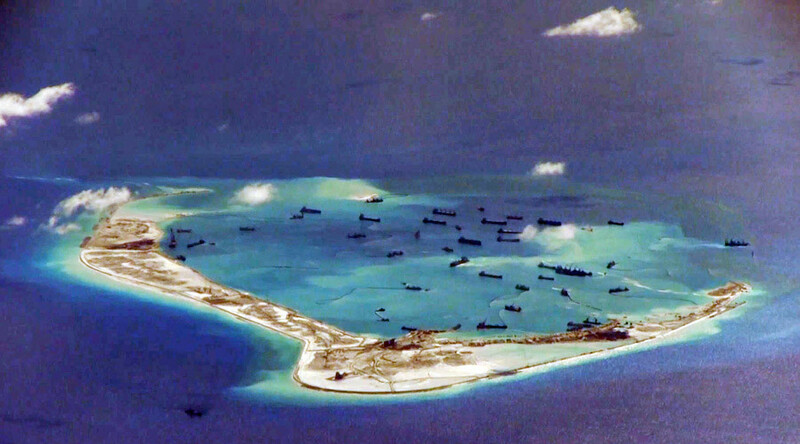 "China's air and naval defensive deployments on the relevant islands and reefs have existed for many years," the statement said, stressing that the Paracel Islands are China's territory, so Beijing is acting within its rights to deploy defense facilities there.